It's Super 32 week. The toughest folkstyle tournament in the country gets started Saturday at 8 AM Eastern time, and we're running through all of the weight classes before this year's event returns to Greensboro, NC. Super 32 brackets are so big and chock-full of studs that we're breaking our tournament preview into three-part series for lightweights, middleweights, and heavyweights. Today's preview covers 106, 113, 120, and 126 pounds. We listed out all the ranked guys registered and some unranked names to keep an eye on this weekend. Below each weight, you'll see last year's final result as well as a trip down memory lane from 10 years ago. Without further ado, check out the full preview below. WATCH LIVE HERE. Commentary: Another loaded leadoff bracket. Every year Super 32 is loaded at 103/106, bringing us proven competitors such as Sam Latona, Cullan Schriever, and Jeremiah Reno as well as newcomers such as Isaac Salas, Richard Figueroa, and Nic Bouzakis. While most of the credentials listed above are freestyle results, Latona -- who was 3rd at FloNationals -- and Salas, who won USAW Folk Nationals with back-to-back wins over Reno and Schriever, have proven high-level folk success. Vinny Zerban had a win over Schriever at Fargo. It's almost become a rite of passage that the "next big thing' gets introduced at Super 32. Enter Nick Bouzakis. He's a phenom. Only in 8th grade, if you don't know him now, you will soon enough. The Florida talent, whose father was a New York State legend, is ready for prime time. Willie's Dark Horse: Buried among the ranked contenders is Wil Guida. He was a top junior high kid coming up but really hasn't hit the limelight yet in high school. On the same team as two-time Cadet world champion Kurt McHenry, Guida was forced to wrestle at 113 where he took some lumps as an undersized freshman last year. He won Fargo at 100 this summer (check out his pin in the finals below). He's talented, has a great training situation, and is finally a bit bigger. Commentary: A seventh-place finisher in California his freshman year, Antonio Lorenzo came from out of nowhere to start off his sophomore campaign with a Super 32 title last year. He beat Alvarez (who had beaten second-seeded Jeremiah Reno), and then Greg Diakomihalis in the finals. Although Lorenzo is back as the returning champ, the field is tight -- the amount of parity here projects a seemingly infinite number of legitimate title contenders. Alvarez recently beat Diakomihalis on his way to a Journeymen title, and you can watch that match below. Noah Surtin, the Fargo champ, has a career win over Lorenzo. Willie's Dark Horse: Never heard of No. 17 Nick Oldham? Neither had I until Conflict at Carver. Oldham placed a humble fifth at his state tournament last year. But at Conflict, he knocked off Matt Ramos in the finals after Ramos beat Fargo champ Dylan Ragusin. Commentary: Adam Busiello sometimes takes weird losses -- except never in Greensboro. In fact, he's traveled there the last five years and come home with a belt every time. Typically, that would make him an overwhelming favorite. But then there's Patrick McKee. 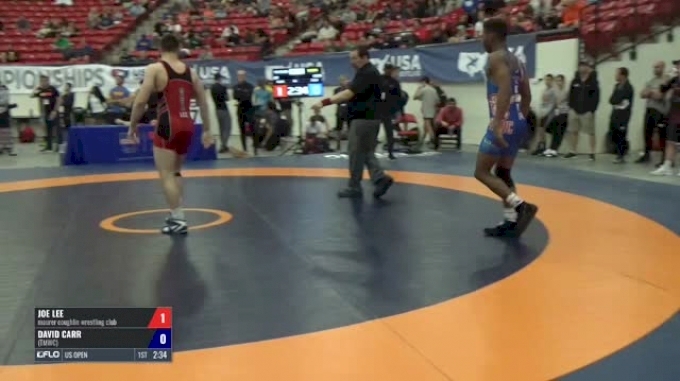 Anyone who watched Who's #1 had to gasp at how McKee was able to repeatedly avoid being taken down against the solid leg attacks from 2017 world team member Robert Howard. How do you score on the kid? 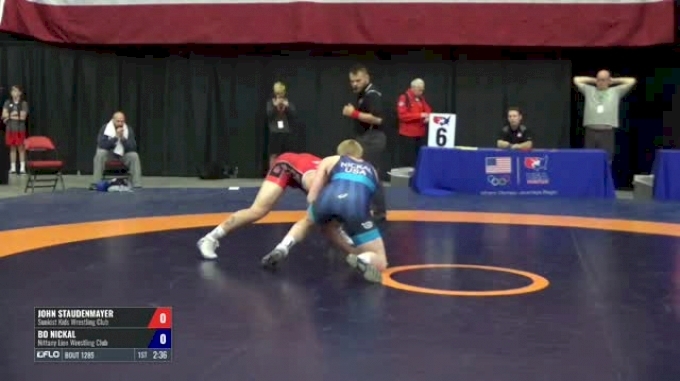 Speaking of Howard and the world team, Brody Teske all but had Howard beat at the Cadet trials before giving up a takedown with no time left. He's been solid but not spectacular, and though he has the ability to beat everyone in the field, it would surprise (me at least) if he could do it consecutively. The final guy I like here is Antonio Mininno, who was ranked in the top three after his state (over Howard) and FloNationals titles; the latter finals video is below. 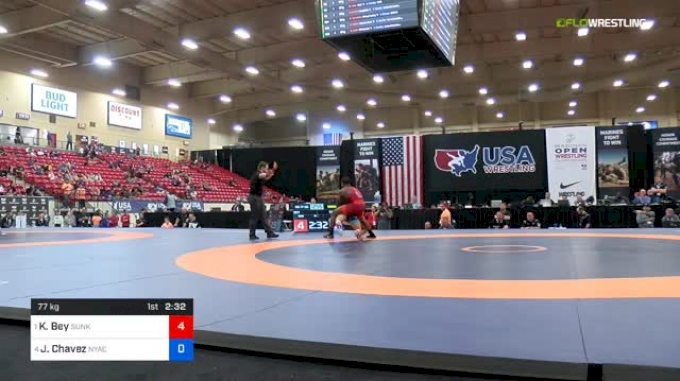 Much like Patrick Glory a year ago, remember that the folkstyle version of Mininno is an entirely different animal. 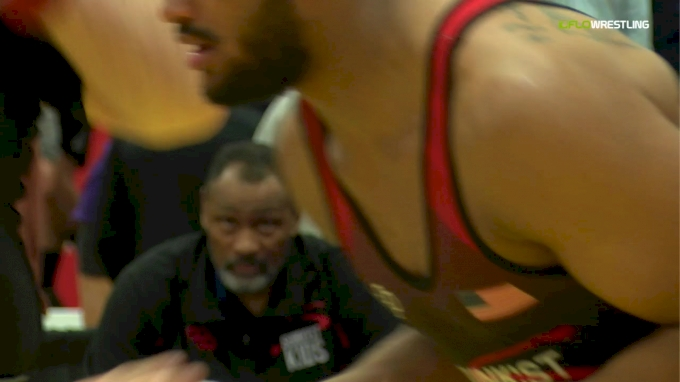 Willie's Dark Horse: There are several -- including three top three finishers from Fargo. Dominick Serrano and Nick Masters (who gave Anthony Clark his only loss there) were runners-up, along with Moomey, who was third with wins over Jacob Lindsey and Blair's Trevor Mastrogiovanni. Also keep an eye on New York's Anthony Sciotto, who gives everyone fits with his scrambling. Commentary: Julian Chlebove is an entirely different guy the one who lost 7-4 in the quarterfinals to eventual champ and current No. 1 Patrick Glory. Chlebove's rubber leg D and reattacks are special, and he proved his mettle with wins by 1-0 over Ryan Anderson, 1-0 over Josh Saunders, and 4-2 over Jakob Camacho for third last year. Glory was in the registry, but it appears he will not be competing this weekend. Saunders, Camacho, and Beau Bartlett all have the ability to win it. But like I said about Teske at 120, I don't know if there's enough separation between them and the field to pull off so many consecutive toss-ups. 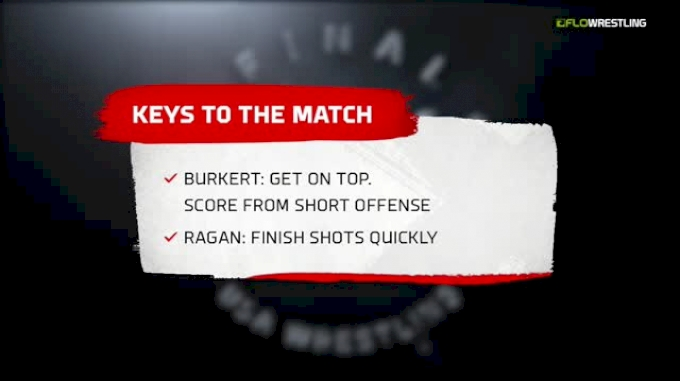 There are two outside shots at a finals berth that I can't wait to watch. Cleveland Belton won a state title as a sophomore in single class Cali last year. He's built like a fire hydrant and will be a problem. The next guy is Jordan Crace, who this summer bumped up 15 pounds and beat Ironman and FloNationals champ Zack Donathan. Gotta mention Jarrett Trombley, too. He's an X-factor having not competed too much nationally in quite a while. Willie's Dark Horse: There's a wrestler in the field with wins in 2017 over three of this year's Fargo finalists. Can you pick him out? Didn't think so. It's unheralded Marcus Castillo, who could be the biggest breakout star this weekend. Oh -- those wins were against Alexander Cruz, Atilano Escobar, and Ryan Franco.